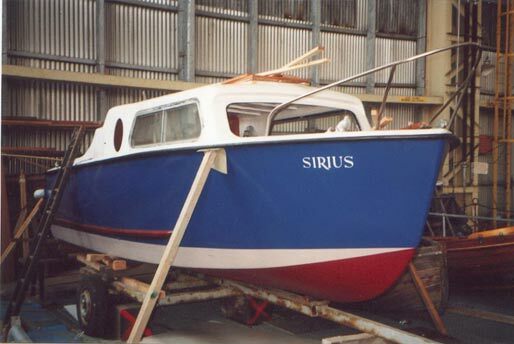 Sirius is a 22 Ft. launch of GRP construction. Sirius has a 30 HP Outboard engine. She has been fully refitted in the past two years and has been used in a workboat and passenger configuration. Within the cabin is space to sleep 3 – 4 people. In the main she is used as a small harbour launch for use within the confines of the harbour. Since her completion she has been used by the Trust to carry visitors around the harbour as part of general sightseeing and also planning development assessment projects.